1. How to use token '%SmartCampaignOrder.WriteReview(s)%'. 2. 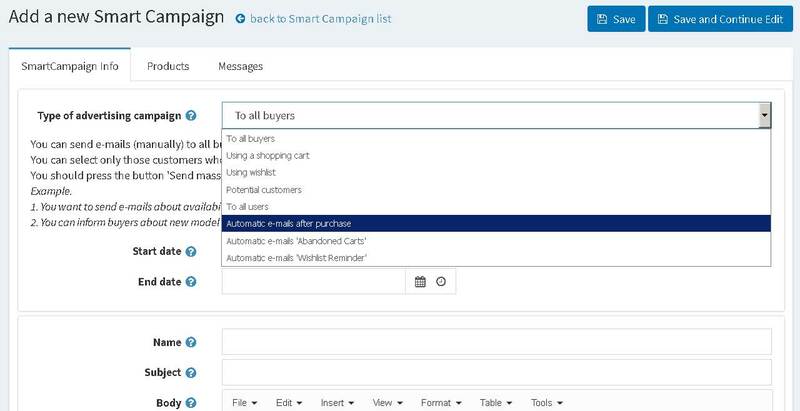 How to create campaing 'Automatic e-mails after purchase'. 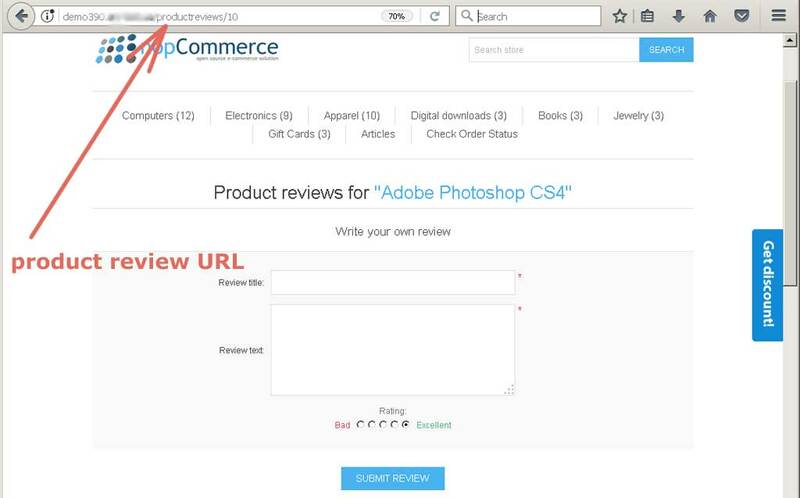 You can use this if you want to have URL for writing review about purchase product. Open the messages template 'OrderCompleted.CustomerNotification' or 'OrderPlaced.CustomerNotification' or 'OrderPaid.CustomerNotification' and add new token at the end of the file. See example. We hope that you will be satisfied your purchase, please write review and earn reward points. Your review will help another customers to select better products. You can use this token with another our template 'Automatic e-mails after purchase' too. 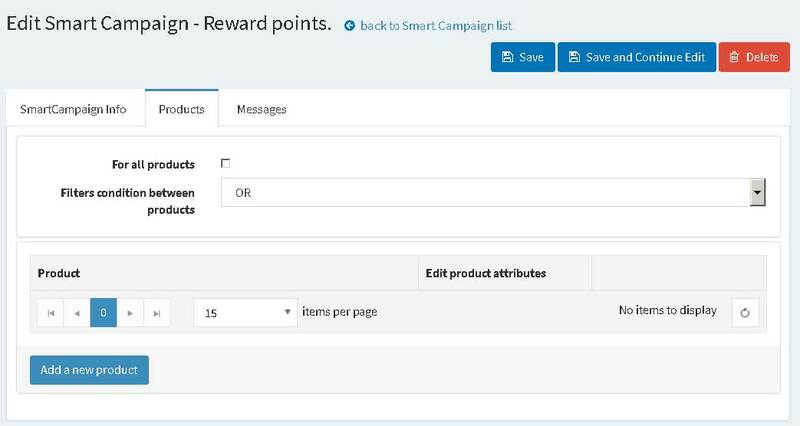 Create smart campaign 'Automatic e-mails after purchase' and add this token. We have special plugin for Review Rewards Program. 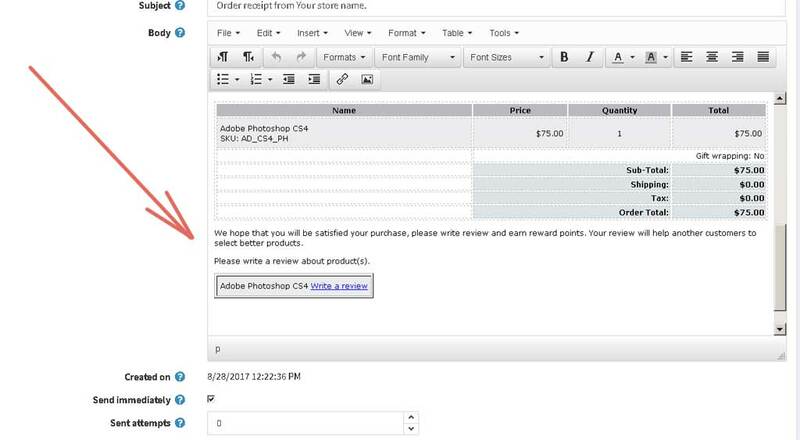 Using this plugin your customers can get reward points for product's reviews. Open list of campaings and press the button 'Add new'. You will see new page, you should select the 'Automatic e-mails after purchase' from the list. Setup this campaing. Don't forget to Active it. Set the time period more than 30 minutes. Plugin will try to send e-mails each 15 minutes (plugin schedule settings). 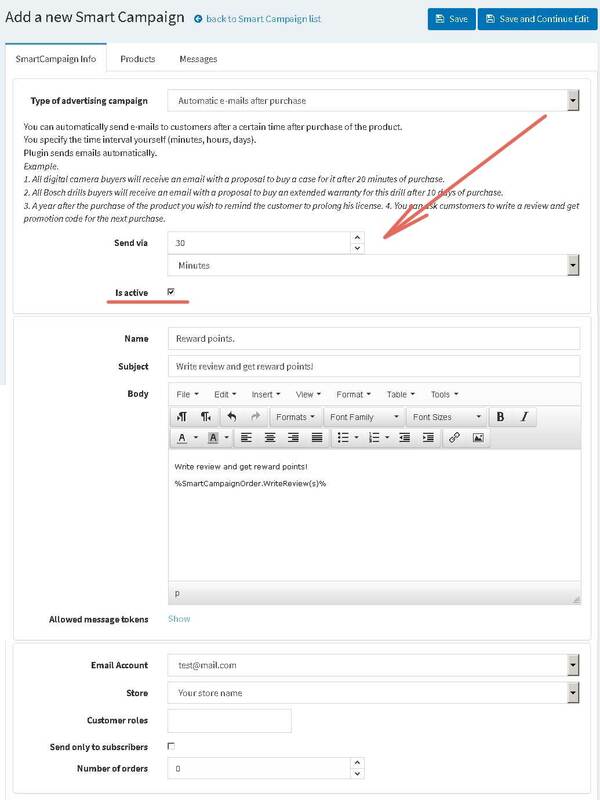 If you need to send e-mail only for selected products you should add them into the list. You will see all future and sent e-mails on this tab.